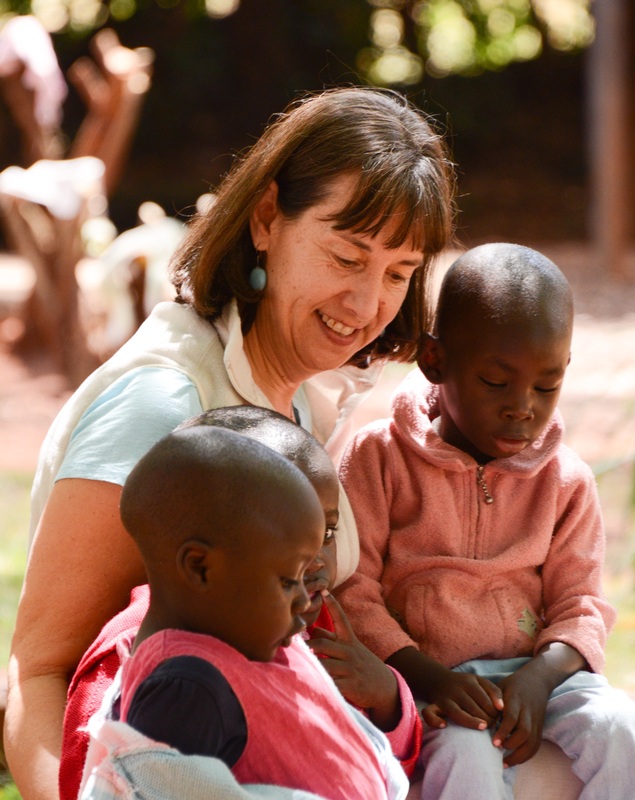 We are in Kenya and thrilled to be here! The KEST group has arrived after a LONG journey from home. 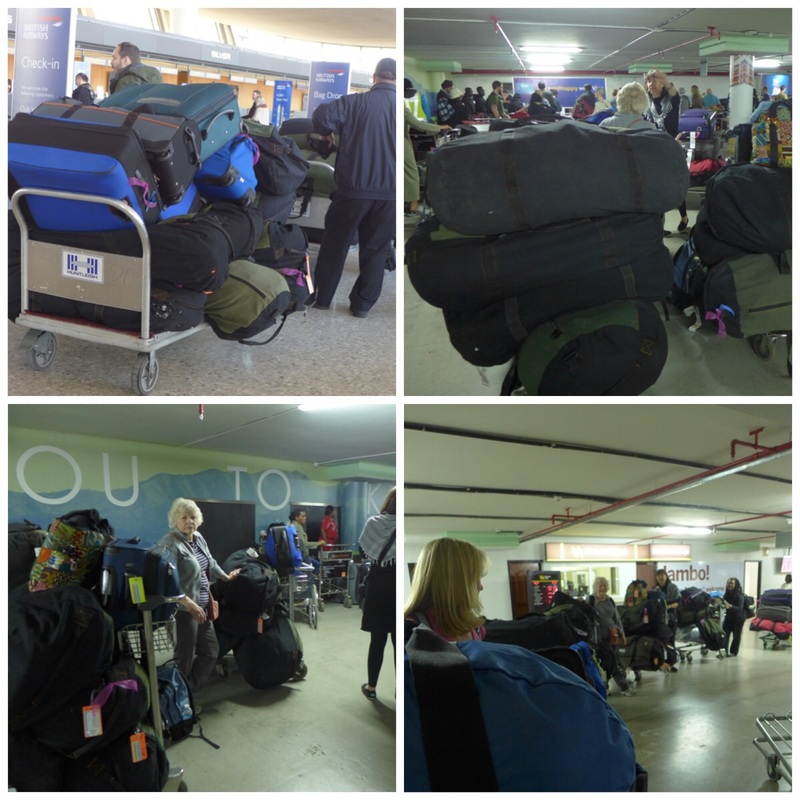 The traveling wasn’t without a hitch because we had quite a turbulent flight and when we arrived at the airport there were a few issues with our VOLUMINOUS luggage filled to the brims with donations. We are truly a sight and a subject of much curiosity at the airport! However many of us were delighted beyond words and with joyful tears to be reunited and working together again and to see Justus with his good spirit, great smile, and big hugs there to greet us at the airport. Taking the airport by storm! 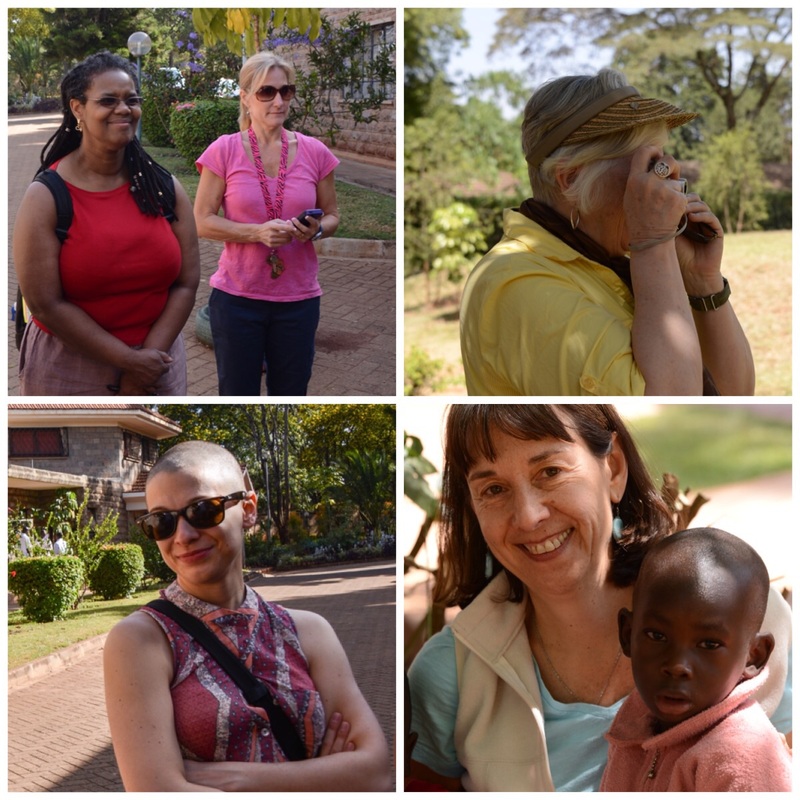 We finally made it to our lodging at Dimesse Sisters retreat at 2:30 AM–a very tired, but happy crew thrilled to be back in Kenya or to be here for the first time. We are a group of nine this year, our fearless leader LLoydie, four repeat travelers known as the retreads (Deb, Kristen, Valerie and me) and four new to KEST, also known as the newbies (Judy, Irma, Megan and Jon.) After a few or a couple (or less) hours of sleep the KEST group met Justus to head out for the day. However, before that, we spent some time with Justus with a special presentation. 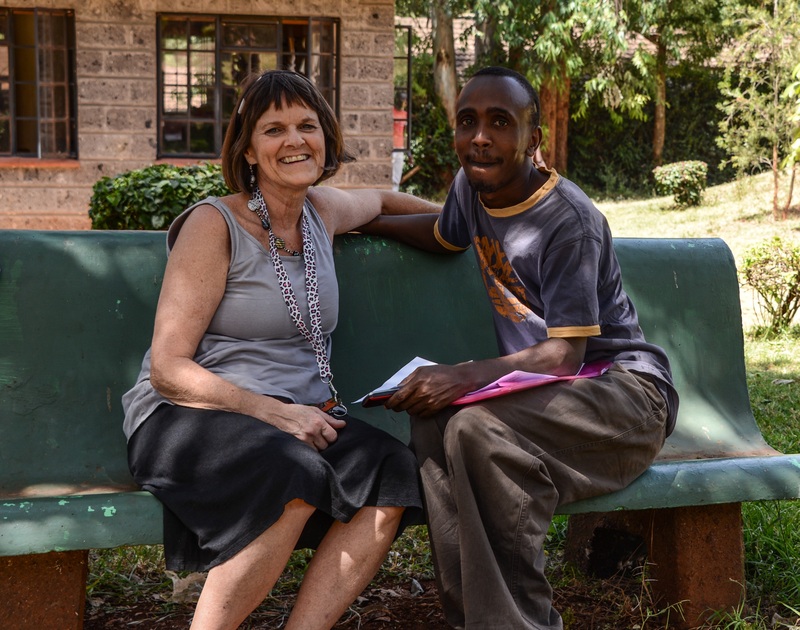 Justus is now working directly with KEST as the Assistant Trip Director, doing many different things including lots of legwork, driving arrangements, organizing events along with Lloydie and providing the best Kenyan hospitality. Jon later in the day said that you hear Justus’s smile and that was very aptly put. 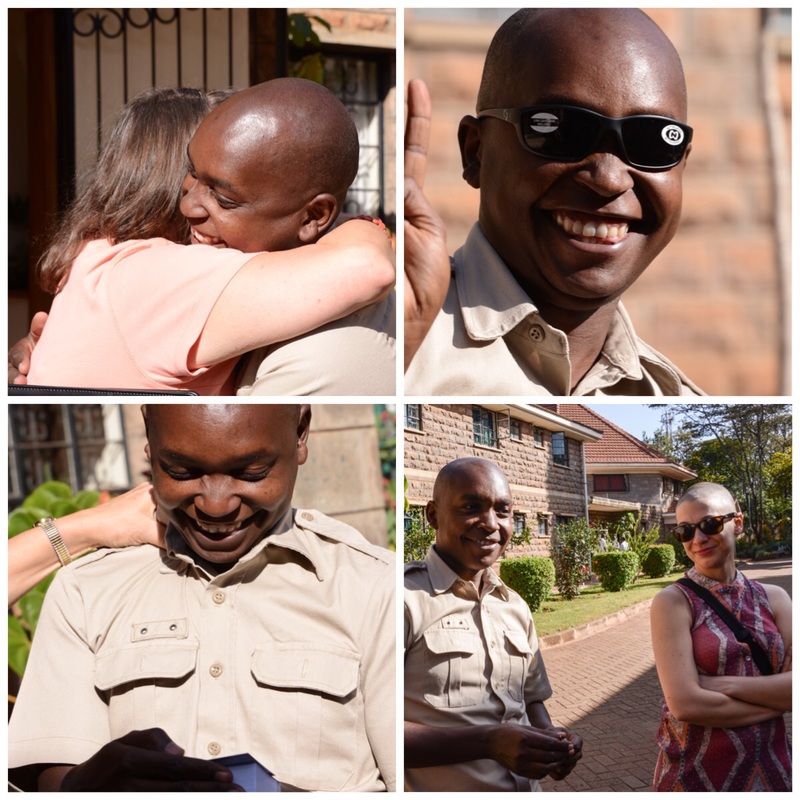 So Justus was presented with his new KEST business cards, lots of praise and appreciation, and a number of gifts from back home including new sunglasses sent by Karen Geiling. He was very humble and so touched by this acknowledgement and appreciation. increasing.) particularly interesting to me was that prevention of transmitting HIV to infants born to HIV+ mothers is very effective with proper prophylactic medication. It is not however widely available to all the population in Kenya. Equipped with a wealth of information about HIV and all the programs (I am always impressed by Sister Mary’s range of knowledge) , the new volunteers had a tour of Nyumbani Children’s Home including the very advanced HIV testing lab, and we set out to work (and play) with the children and the staff. 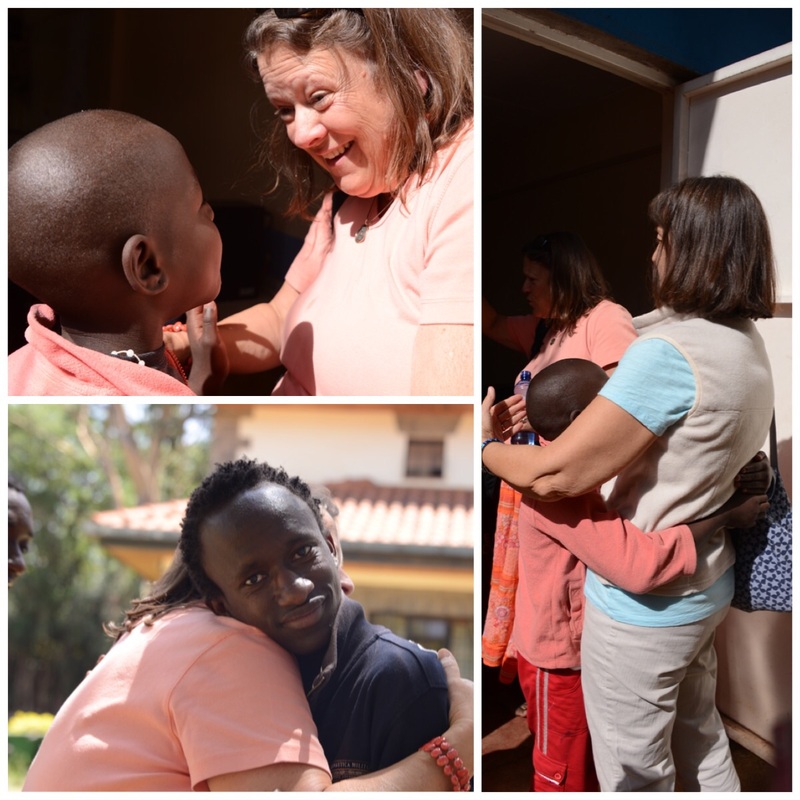 There is always a lot of excitement, many enthusiastic greetings, and much hugging when the children see that we have arrived. Now that this is my fifth trip to Nyumbani it is s wonderful to see how the children have changed so much overreach year, to be able to have a conversation with that child who was a baby in my lap a few years ago or even with one who is finishing high school. 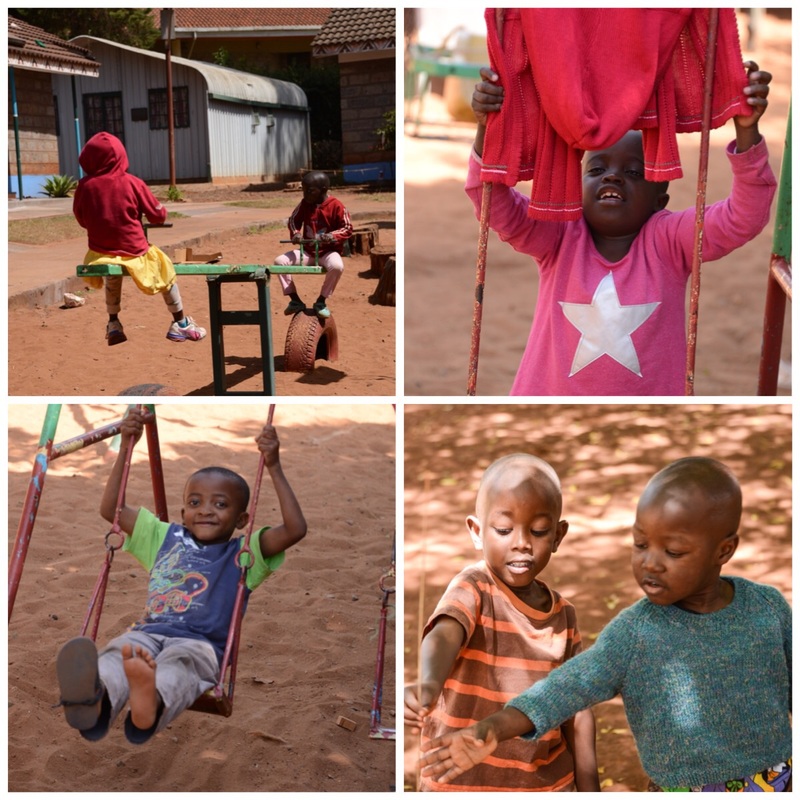 Being around the children, who are enthusiastically invested in play time on Saturday is really a joyful experience. Much of the time they look like energetic happy playing children. 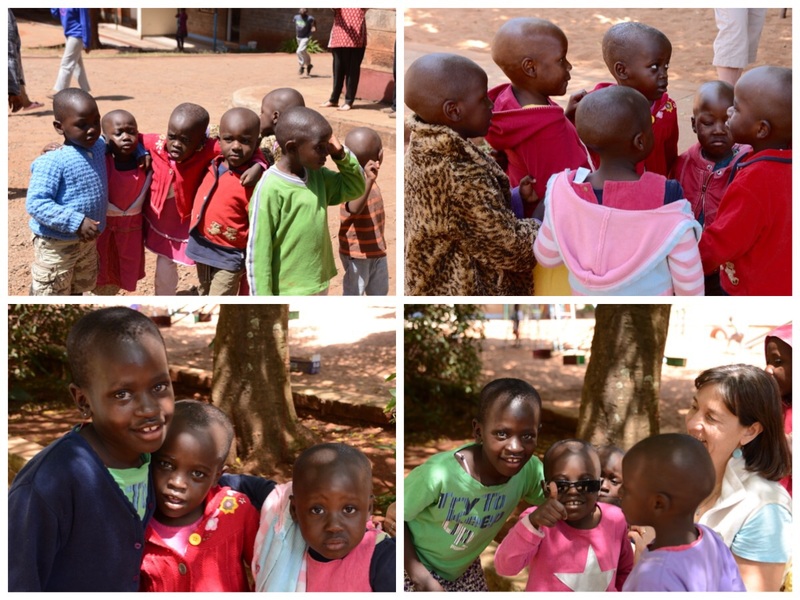 This is an adorable, giggling video of the children looking at the photos on Deb’s camera–a must watch! 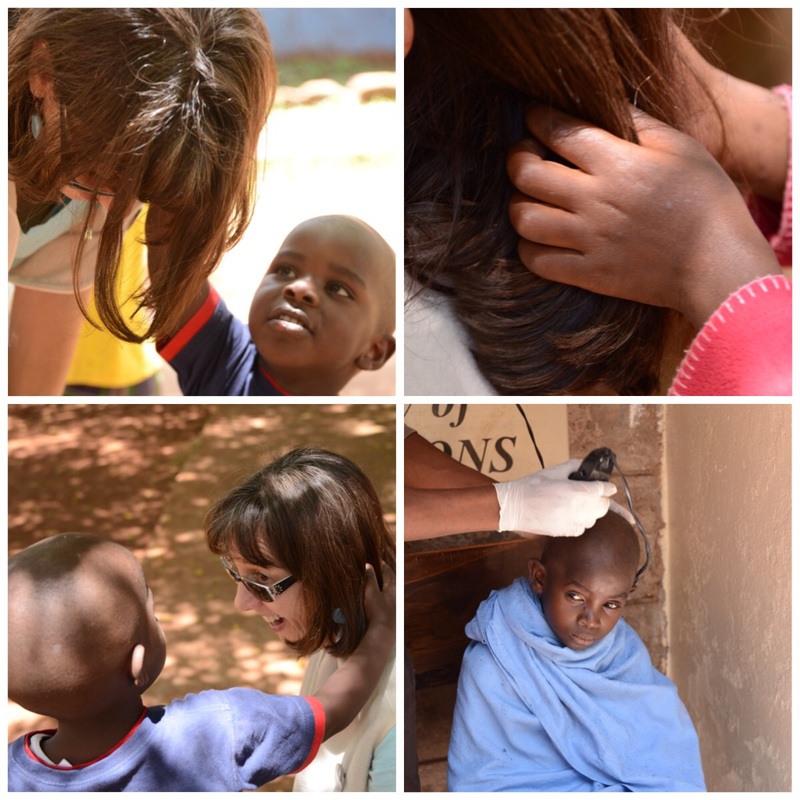 Hair, our hair, always attracts a lot of attention from the children and is a curiosity that they loke to get their hands on. Deb had quite a number of children wanting to touch her locks with curiosity, but the BEST was their fascination with Jon’s beard and the way they like Ed home to Santa Claus complete with the children saying “Ho Ho ho! And Merry Christmas!” Check out the video of the children admiring his beard–it really will make you smile! In addition to talking to, playing and providing our hair to the children, we were involved with other activities. 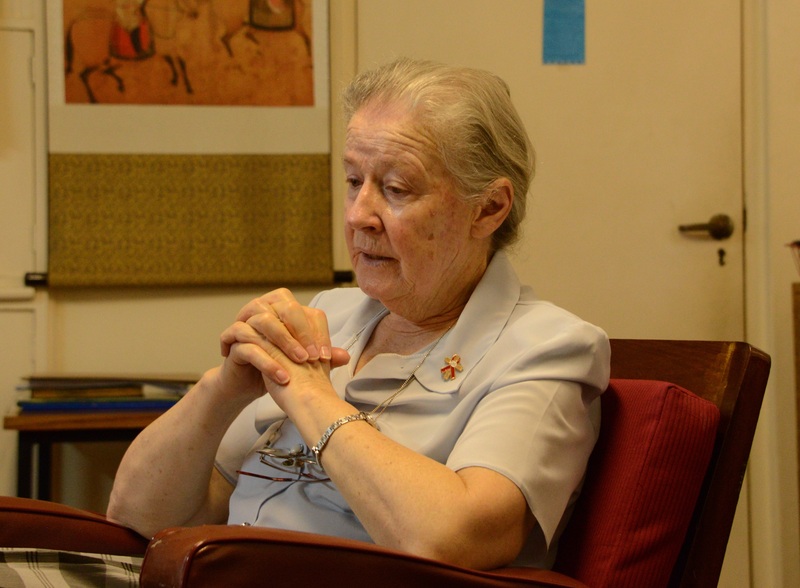 Valerie and Judy were long-awaited to me with the adolescents in a group counseling role. Although I am heavily invested in mental health issues at Nyumbani Village, they were snatched up by the staff at the Children’s home to provide some much-needed counseling and a forum for talking about issues that they otherwise may not have an opportunity to address. They will meet with them again tomorrow. The other volunteered got acquainted and visited with the children in their assigned cottages. We all got to eat lunch with the A/B boys (adolescents) and the silver lining to the kenyan teachers strike was that some of the boys who are away at boarding school or college were home at Nyumbani. This created a very. Ice opportunity for us to reconnect with wonderful and lively conversation at Lunch. I got to concerns with Thomas with whom I had spent time with prior to going to boarding school and it was great to reconnect with him and so many others. Serendipitously I had an opportunity to meet with Bernard and Edwin who are two Nyumbani alumni successfully out in the world and employed. We talked about the challenges for the children in becoming self- reliant and employed after they leave the Children’s. Both of them are successfully working to de sol a self-help group. for alumni. So far there are 7 members, they have opened a bank account and they have received the government certificate. After 6 months of saving some money into the bank account earned by doing “casual or temporary labor” they will be eligible for a government loan to help them develop businesses. Bernard was very excited with what they are doing with the encouragement of Nyumabani. It was align ant statement when he said that even if some of them are employed they can’t be happy unless their brothers also have a job and will work toward the goal of everyone being steadily employed and perhaps beginning their own businesses. This will be one way of helping to address the transition from the shelter of Nyumbani to becoming self-sufficient. Meeting with Bernard about the COGRI self-help,group for Nyumbani alumni. Everyone had a packed, full day despite all of our weary and sleep deprived brains and everyone returned smiling, happy and ready to get some sleep, but only after a lot of sharing about our days and the children after our dinner. Although I am staying up much too late to write this post, I wanted to do it because there is so much to talk about at the end of a day. We will return there tomorrow for activities , more counseling, visiting with the children in our assigned cottages and so much more. « Excitement, generosity and THANKS! What a beautiful entry! The pictures and videos – I can’t get over the giggles. Thank you for sharing, you truly bring us to Kenya through your words and photos. Thinking of you every minute, every day! We miss you so much. I am glad you can have the experience through the blog. Yes, aren’t those giggles just priceless, and the “Ho ho ho” of thinking that Jon is like Santa Claus, I never expected that. We head to the Village on Sunday so I hope Baby Bayles arrives while we are there so all the Sho shos will be singing and dancing—and us too, of course! Sending love and wishes for a good delivery. Hi Lynn You all look happy and excited to see each other again. Have a good trip and I know that you will do good work there. Thanks, has been amazing, and I am sad to depart. I will see you soon. Unbelievable, you captured the day perfectly, which is a good thing seeing as I slept through some of it while standing on two feet! I was afraid I might have missed something but you have kept me up to date…BRAVO!!! What a full and great first day for you all. 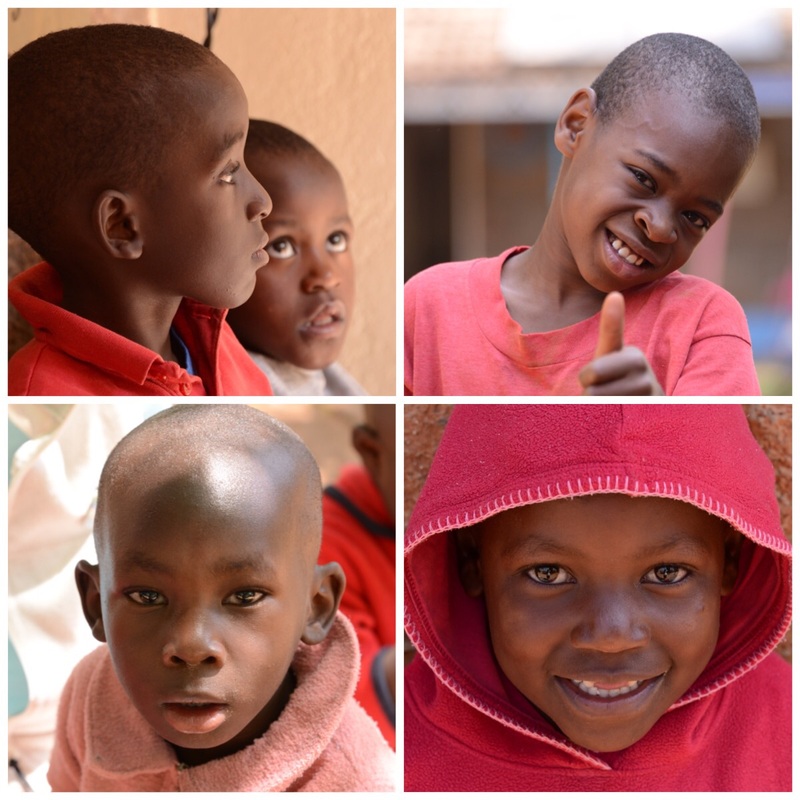 Loved seeing the videos and beautiful photos of the children. It helps me feel a part of the joy you experience there. So good to hear of the alumni joining together to help each other make the transition to life on their own. Courage! Blessings for the days ahead. Thank you Barbara. You are always so kind with your comments. Thank you for joining us vicariously! My heart is melting. Thank you so much for sharing! The photographs accompanied with great detail makes me feel as though I’m there. So uplifting 🙂 As always, so happy for all of you! Thank you! Thank you! If you get the blog by email, be sure to go to the sight to see the videos. They are priceless! Thanks, there’s so much more to come. Just wait until we get to the Village!